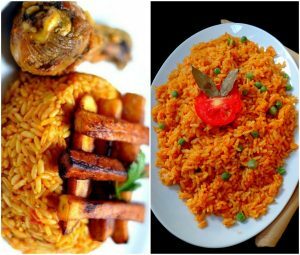 Gambia has been adjudged the winner of the Jollof Rice Competition organised by the Ghana Tourism Authority (GTA) as part of activities marking the Jollof Festival at the weekend. The competition, which featured Ghana, Gambia, Nigeria and Senegal, formed part of the “See Ghana, Eat Ghana, Wear Ghana, and Feel Ghana”campaign being championed by the GTA, under the auspices of the Ministry of Tourism, Culture and Creative Arts to promote local tourism on a global scale. 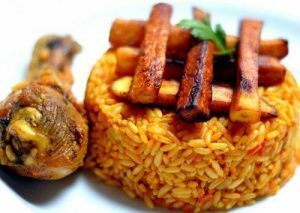 Gambia prepared the jollof rice without tomatoes but with mustard, fish and other ingredients, making their jollof yellowish-white as compared to Ghana, who used tilapia, tomatoes and other ingredients to make their jollof attractive and tasty, giving it a reddish colour. The Nigerian and Senegalese chefs used ingredients they believed could make their jollof super and delicious but, unfortunately, they could not win. the judges, who were drawn from Mexico and the Netherlands, said the judgment was based on criteria including presentation, aroma, and taste.